Years ago Yamaha developed a bike prototype with the front resembling a face. The shape and design of the front light had a simple and effective purpose: To mimic an aggressive facial expression. Doing extensive MRI brain activity checks, researchers found that the brain automatically reacts faster when it recognizes aggression. That sounds only logical. 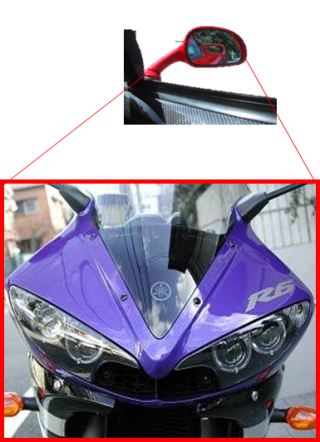 The idea was that people seeing the face in the rear-view mirror would pay more attention to the more vulnerable motorbike. Now how did that idea come into being? Japanese Kabuki theatre (ironically, a subculture form of theatre at the time) has a tradition of overly exaggerated facial expressions through make-up. The cartoonish, caricature-like emphasis makes it easy for the spectator to recognize emotion, even from afar. 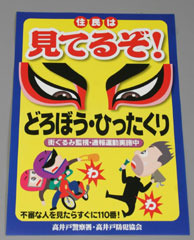 That is the reason Kabuki-resembling eyes are used in Japan on crime-preventing posters. But more than that, they live on in modern Japanese subculture. One of the most popular anime of all time is Gundam, a sci-fi story in which giant robot suits are piloted by humans. A Honda engineer was such a big fan of Gundam that his life goal was to actually make a Gundam. Of course, he would never get a budget for that. So instead he came up with the proto of what would later become the Monpal ML 200 cart which won the 2006 good design award. So this Gundam-inspired, subculture-inspired innovation carries real added value. The weak vehicle is being noticed thanks to its aggressive face. The same concept could be applied to harmonize traffic as a whole. 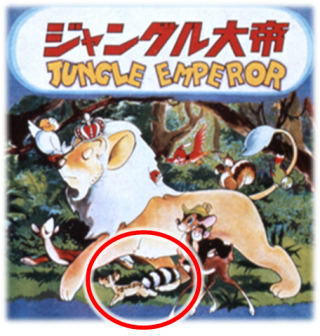 Tezuka Osamu’s famous comic “Jungle Emperor” hints at it: the weak, harmless animal signals aggression to protect itself, while the large, powerful King of Animals carries himself in a gentle way.